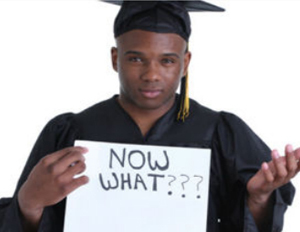 In a 5-part series “Grad School vs. School of Life,” BlackEnterprise.com explores the pros and cons of pursuing an advanced degree in lieu of the job market. Job seekers, professionals and career experts weigh in to help you decide whether the decision is a good one in the grand scheme of ultimate career advancement and marketability. Lacking career direction: You’re unsure of the career path you want to pursue, so you go toÂ graduate school instead. Hey, you might get lucky and really enjoy your graduate school courses and find your way as a result. But before enrolling, Crawford suggests taking time to figure out what career path is best for you, and then attending grad school only if it’s completely necessary. “It’s a big investment of your time and money, so you want to make sure it’s the right next step for you, not just a desperate measure because you don’t know what else to do,â€ she adds. While there are good reasons to go to grad school—to pursue an interest you’re highly engaged with or to take the next step necessary to meet your financial and career goals— it’s important to think twice before taking the leap. If your primary motivation for going to grad school falls into one of the scenarios above, you may want to reevaluate to avoid a decision that could shortchange your career progress. Has the current state of the job market forced you into making a rash decision about graduate school? #SoundOff and follow Jamie on Twitter @JayNHarrison.